NEW YORK’s fashion design arbiters have a weakness for deconstruction – sliced and spliced and twisted is not just descriptive of the US’s current political climate. 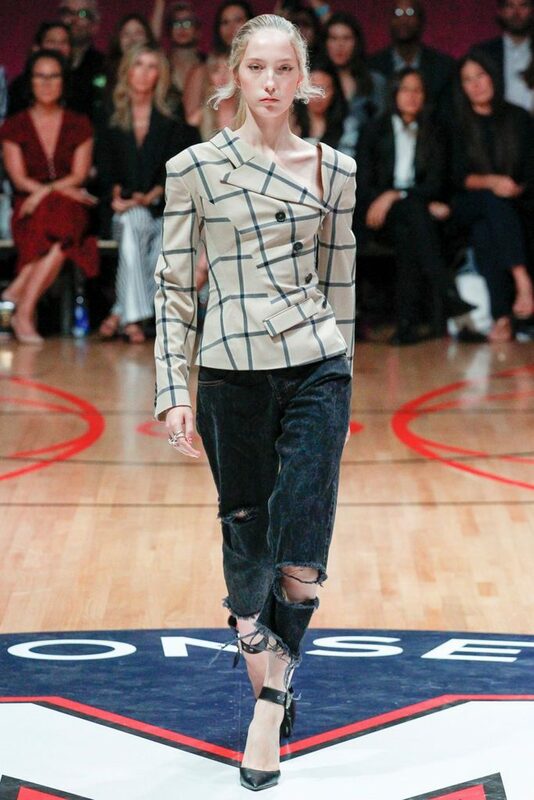 This spring/summer 2018 season they’ve turned their shears on the blazer, and it looks refreshingly spontaneous. Take Alexander Wang’s update on the tuxedo: lose a sleeve, lose a shoulder, optimize both arms as a belt, add sheer hold-ups, perspex shoes and a sprinkling of rhinestones and you’re party-ready. 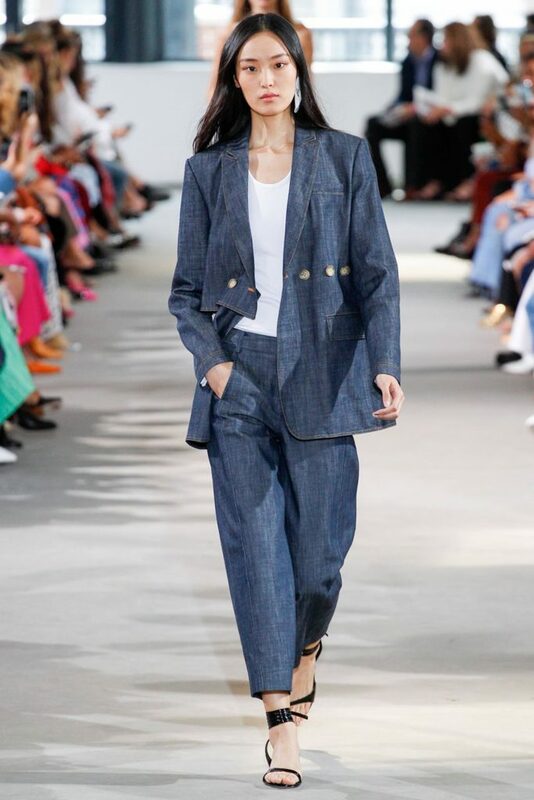 Then there’s Monse, whose urge to tilt clothes off-kilter can occasionally look a little forced, though not in the case of their counterpane check blazer, twisted round the torso to expose a collarbone and worn with scuffed denim jeans. And if you’re seeking seriously polished breakdowns? 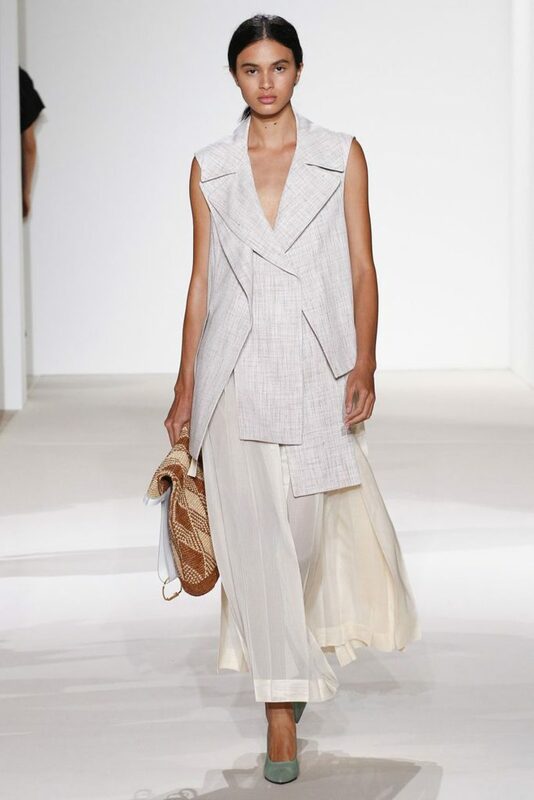 Try Victoria Beckham or Tibi, who both offered simple skews on a classic, losing an arm here, adding a vent there. Think of it as corporate slippage – a novel way to approach the desk-to-disco dilemma.